There’s a moment when panic sets in as a new mom. That moment when your baby is in complete meltdown mode and won’t nurse for anything. Your once perfectly great eater gets even more upset when you put them on the breast and won’t latch on. If only they knew it was an easy step to getting food in their bellies. That moment just recently happened to me and I was at a complete loss. You would think after having 3 kids I would have every little situation in control, but let’s be honest, the minute we think we got it, we don’t. As my son began crying even harder, I began to cry not knowing how to get him to latch. I knew he needed to eat but after every failed attempt to get him to, I just wanted to quit. There was no formula in the house and the only breast milk I had was in the freezer. He had never taken a bottle before so there was no need to keep any thawed. How in the world was I going to get it thawed and warmed for him within a few minutes so him and I can just sit and take a deep breath? I remembered MagiStir had sent me their 4-in-1 Feeding Station. With my son in one hand, I opened the box with the other and quickly took out the instructions. It couldn’t be this easy, could it? With my son still screaming I quickly washed the MagiStir, grabbed a bag of frozen breast milk, and within minutes, I had perfectly temperatured breast milk. Now getting him used to the bottle was another numerous adventure that we are still dealing with but at least the screaming and his meltdown stopped once the milk came out of the bottle and he was perfectly content afterwards. 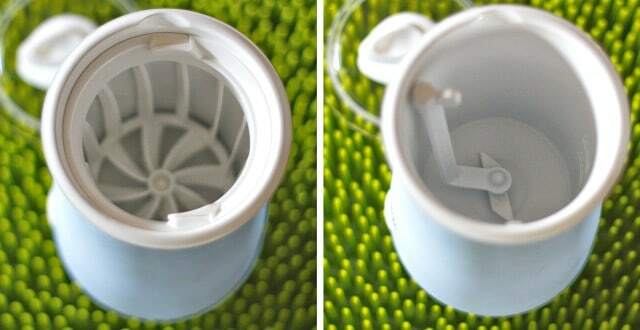 Reheat partial bottles – no more wasted milk! Mix and warm formula quicker than anything I’ve been used to with my other two kids (90 seconds is all it takes). 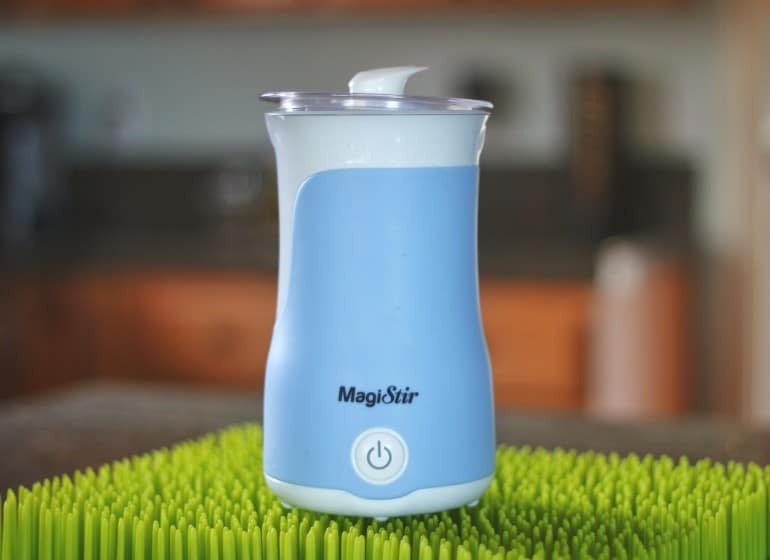 The MagiStir actually STIRS the milk rather than shaking it ti omit any air bubbles that can cause gas, pain, and discomfort in your baby’s sensitive tummy. It also stirs formula to a smooth consistency, so goodbye lumps. The only compliant I do have, which isn’t a huge complaint, is that the MagiStir can be a little loud, especially in sterilization mode. I also hope that one day they introduce the option to make it cordless so we can take it on-the-go with us, especially when we go camping and have no power. Overall, the MagiStir has been a life saver for me and it’s definitely a product I have and will continue to recommend. It’s easy to use and works quickly and efficiently. I received a MagiStir to review, all opinions are my own.